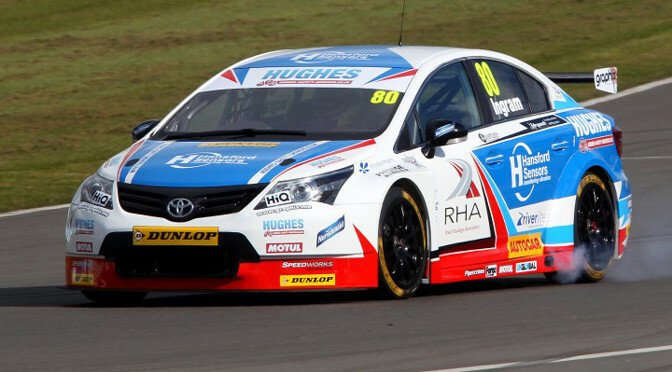 Tom Ingram was the surprise name at the top of the time sheets in the first free practice session of the new season of the BTCC at Brands Hatch this morning. Rookie Josh Cook, runner-up in last year’s Clio Cup, was third frastest ahead of Rob Collard and Dave Newsham. Reigning champion Colin Turkington could only manage 13th fastest in his first session with Team BMR. All three of his team mates were ahead of him, with Aron Smith seventh, Warren Scott eighth and Jason Plato 11th. MG pair Jack Goff and Andrew Jordan spent most of the session in the garage, completing just eight laps between them. The next free practice session is at 12:45pm.